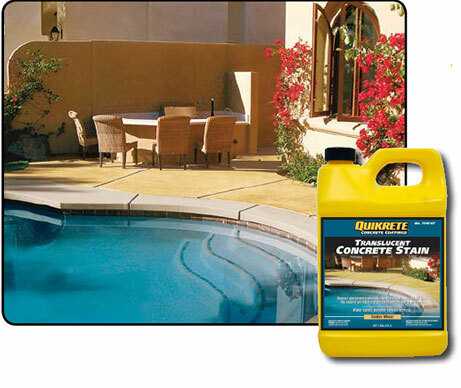 QUIKRETE® Translucent Concrete Stains (No. 7215-00, -01, -02, -03, -04, -05, -06, -07) semi-transparent appearance highlights the natural variations in concrete and masonry surfaces. QUIKRETE® Translucent Concrete Stains can be used in multiple color combinations to achieve a unique multi-tone, layered appearance.